South Africa is one of the most diverse countries to ever be visited. A gem for all travelers and backpackers, the country offers opportunities and activities for people of all ages, tastes and preferences. It’s a country where modern cities juxtapose secluded forests, and lush shorelines paint contrast skyscrapers. It’s a country with a rich cultural heritage, an interesting history, welcoming people and endless sight-seeing opportunities. Planning a trip to South Africa, however, is one of the most overwhelming things to be done. No matter what your preferences are, you might feel like you don’t even know where to start. You have the vast savannahs, you have the incredible road trip routes, you have shorelines, little cities, surf places and much more. To make it a little bit easier for, I will talk about things you should definitely do while in SA! 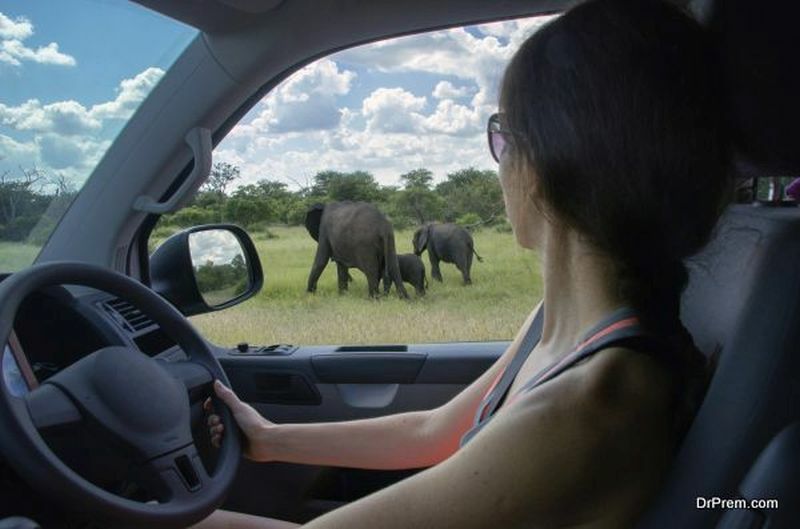 Not only is it a must-see in South Africa, but Kruger National Park is actually one of the world’s best and most famous safari parks. An incredible experience awaits you at one of the oldest game reserves in South Africa. Sprawling in the game reserve are the Big Five (lion, leopard, buffalo, elephant and rhino), all together. You’ll be completely and fully immersed into the wildlife – uninterrupted miles of greenery, wildlife roaming around, and archeological sites…It’s any traveler’s dream come true. Whether you want to organize a walking safari, a normal road safari, or even a helicopter safari – the choice is absolutely yours. The unrivaled diversity in the 2 million hectares of life is simply mind-blowing…150 mammals, 100 reptiles, 500 bird species, the diversity will keep you occupied throughout your entire trip. If you’re into wilderness then it’s no surprise that South Africa is the epitome of wildlife and nature. This park is one of the largest area in the world offering vast, almost endless terrains of wilderness. It’s where you’ll find thorn trees, red sands, and a huge diversity of wildlife – a scene straight out of a movie. The whole experience is quite overwhelming as you whizz past meerkats and Kalahari lions, or predators planning. Make sure you take a lot of pictures when you’re there. 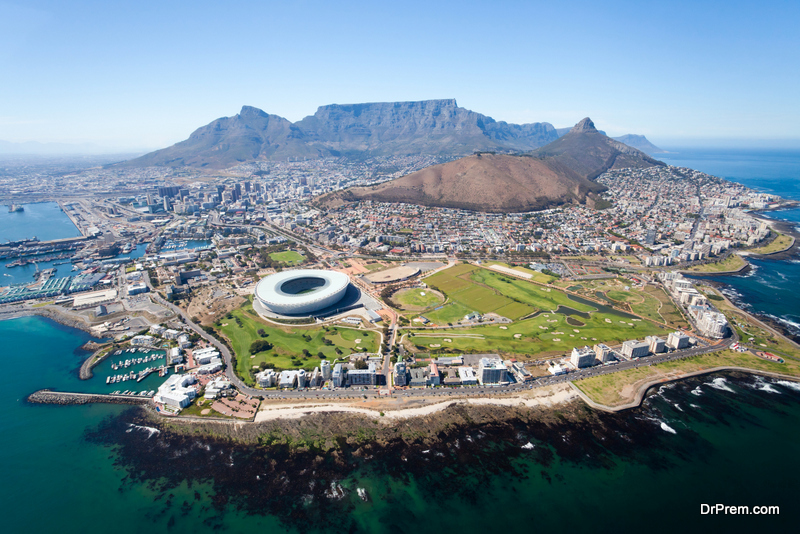 There’s no way you can enjoy a South Africa trip without visiting the world-renowned Cape Town. A sprawling city perched into the middle of astounding scenery, Cape Town combines the beauty of nature with the ruggedness of metropolises together to create a unique city. From rugged ranges of mountains, to the sea surrounding the city, to skyscrapers and museums – what’s not to love about Cape Town? In fact, a lot of people just visit South Africa for Cape Town. Panoramic vistas on top of hills await you along with magnificent botanical gardens and UNESCO World Heritage Sites. It’s a place where you can spend your morning watching whales sprout from the harbor and then spend your afternoon learning about the history of South Africa. Make sure to visit the Kristenbosch Botanical Gardens, the False Bay with its golden beaches and Victoria and Alfred Waterfront. Indulge in the beauty of the Victorian architecture juxtaposed with beaches and gems for all nature lovers out there. You can travel to anywhere else from Cape Town using airlines like SAA too so it’s a great starting destination. Love yourself a little bit of wine? Who doesn’t, right? Well, if you’re into both picturesque towns and good wine – then definitely visit Stellenbosch. Surrounded by fabulous cellars, perched under rolling green hills and boasting beautiful structures – Stellenbosch is the picture-perfect town to be in. You can spend your time walking in the streets and going off the beaten tracks, or you can learn about the history of the Town of the Oaks…Enjoying a vineyard hike should also be an absolute must on your to-do list as well as wine-tasting at some of the 4,000 wineries available there. If you really want to unwind, then some time at the botanical gardens or playing golf will be more than enough! This is definitely the most popular destination for travelers in South Africa. Here you’ll find the highest peaks in South Africa and also has the UKhahlamba-Drakensberg Park. That park will literally make you stop in your tracks as you’re surrounded by incredible beauty and San Rock art along with the fact that it’s a World-Heritage listed sites. Magnificent surroundings, beautiful rolling cliffs, mountain landscapes, and dramatic peaks – Drakensberg is picture-perfect material. Want to add a little bit of oomph to your experience? 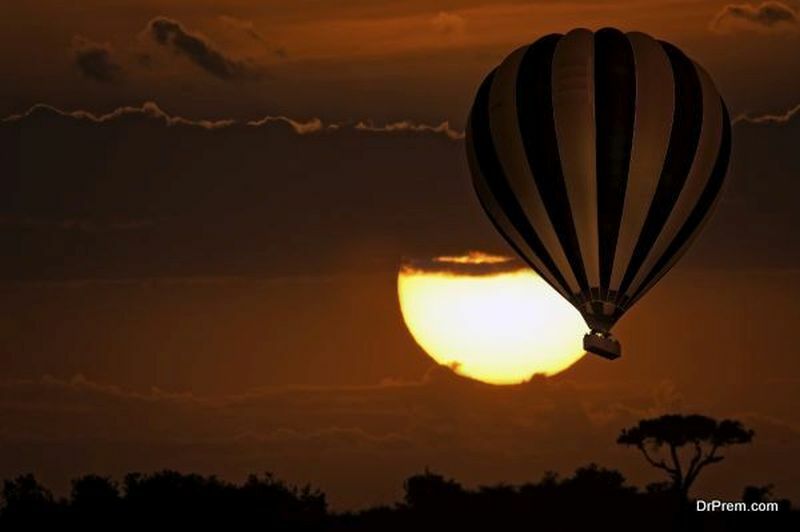 Take a hot air balloon ride! You’ve definitely heard of the Garden Route once or twice in your life. It’s the best route in the world to drive along. Think of the most dramatically enchanting scenery you can muster up, and then combine that with rolling hills, a paved road and a car and you’ve got the Garden Route. Stretching along the Indian Ocean, this route not only offers beautiful scenery, but it also shows gorgeous lagoons, lakes, and a few towns you can even explore! 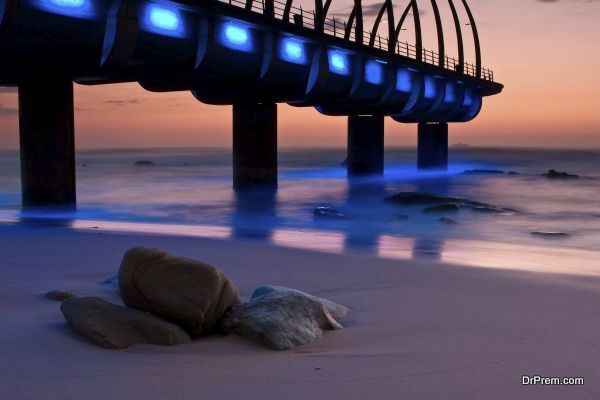 The thing that makes Durban so wanted is its alluring waterfront promenade – the Golden Mile. Another top attraction of South Africa, Durban’s Golden Mile is all about unwinding and relaxing. Enjoy the long beaches with powdery sand and blue waters, rent a bike, have some food by the beach or simply completely unwind. South Africa is one of those adventure capitals of the world. From bungee jumping to swimming with sharks, the country will cater to your adventurous soul. If you want to swim with sharks then South Africa is the place to do that. Make sure you visit from April to October and go to places like Simon’s Town and Mossel Bay. The largest city in South Africa is also another top destination that has been dubbed as the “City of Gold”. Make sure to check out the Apartheid Museum, the Constitution hill, and the Gold Reef city as well. South Africa can be traveled around for a whole year without even scratching the surface. No matter what type of trip you want to have, South Africa will always be the right answer. 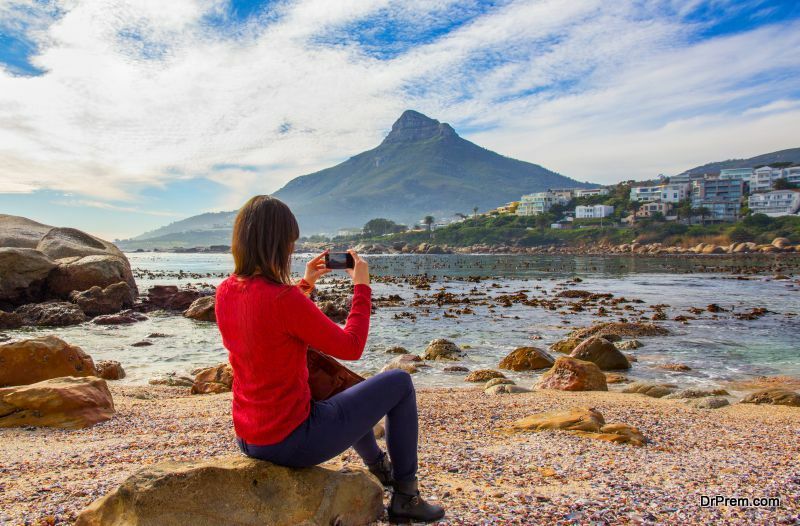 Cities, safaris, mountains, beaches, culture, history – everything is there in South Africa, so what’s stopping you from embarking on an exploratory journey?